Art fairs are evil—or so I’ve heard. They are not the devil incarnate come to steal your children, per se, just the dollar incarnate come to swallow your art. The criticism usually goes something like this: capitalism corrupts art by turning it into a common commodity and (more importantly) depriving it of its critical capacity as a consequence. Because if you are part of a system, you cannot objectively critique or reject that system. You become complicit by default. [Y]ou have to circulate an object in the market in order to have a more direct access to power. I’ve been waiting for the revolution for a long time and it hasn’t come. The ones that have come have done very little to change our ways. Therefore, I don’t want a revolution anymore; it’s too much energy for too little. So I want to work within the system. I want to work within the contradictions of the system and try to create a better place. Art fairs are not evil. They’re just boring, most of the time. They’re like re-run marathons of Friends or every Nickelback album: they beat a bad formula to death. They fail to take advantage of the enormous opportunity and responsibility they possess as a highly visible face for art. All art embodies values, no matter how abstract or silly or minimal it is. 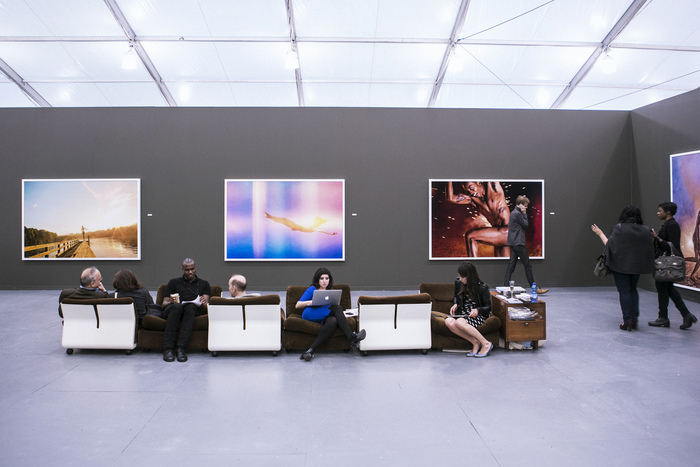 Art fairs embody the values of their exhibited artworks. The punchier the artwork, the punchier the art fair. Put a hundred rabble-rousers together under one roof and you get some rabble-rousing. Put a hundred Muzak musicians together and you get one helluva snooze fest. What if we thought of art fairs as people—with hopes, fears, goals, personas, and flaws? More specifically, what if we thought of fairs as politicians, like the “ambassadors of culture” they desire to be? 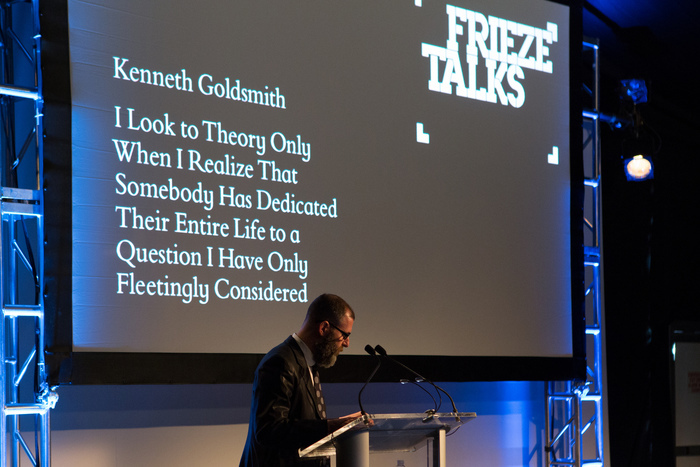 Both fundraise, throw swanky parties for rich people, seek press endorsements, try to appeal to everyone generally and to a niche audience specifically, project a desired image, and turn their policies into programs (such as the ones at Frieze Art Fair). Like politicians, fairs would be subject to a critical evaluation of their professed ambitions, the values they stand for, whose tastes they cater to, their impact on current issues, their failed potential, etc. Rather than railing against fairs as co-conspirators with capitalism, we could judge them for what they actually are: embodied values. Would the usual art fair critics rally against a fair that only showed and sold challenging, critical art? Part of the problem is that art fairs are hydra-headed affairs. They want to be too many things to too many people. They need to be trendy and edgy enough to attract a (younger) general audience willing to pay $$$ at the door. Yet, they must avoid being so edgy and challenging that they dissuade (older) collectors from bringing the art home with them, which would make the exhibiting galleries who are paying $$$$$$$ for their boxes very unhappy. Some fairs manage this better than others. Every fair has at least one gem. Undoubtedly, this week’s Frieze, NADA, and Select fairs will have a handful, but what if gems became the norm rather than the exception? What if art fairs, like politicians, were held accountable for their values? Ryan McGinley, Team Gallery, solo booth; Frieze New York 2013; Photograph by Jonathan Hökklo, Courtesy of Jonathan Hökklo/Frieze.